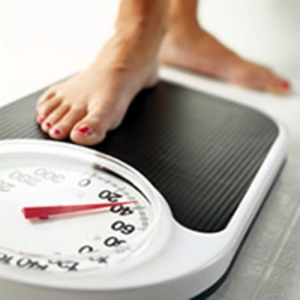 You eat right and exercise daily, but losing those last few pounds can be a headache and water is the likely culprit. Water weight tends to make you look and feel bloated. Here is a little trick that will help you sweat it off. It's a great way to lose that water weight for a special occasion. Before beginning any exercise routine, grab plastic wrap. Plastic wrap can be found at any local grocery store. Start by wrapping in the areas where you feel that you have water weight. It could be anywhere on your body including the stomach, legs, thighs, or even the arms. Wrap the area twice making sure not to wrap it too tight or too loose. Make sure that you are still able to breath and move with the plastic wrap on your body. Once you start your exercise routine, you will begin to sweat in half the time. Once you finished your exercise routine, you can remove the plastic or leave it on for the entire day while you are doing the rest of your chores. Remember to limit your sodium intake so that the water weight will be reduced. Also if you feel too hot or dehydrated, remove the plastic right away and drink water.